Strength Training Lv 2 10 2 Y Y -- - - - - - Permanently increases base physical attack rating by 25. Skill bound to character. Strength Training Lv 3 18 2 Y Y - - - - - - Permanently increases base physical attack rating by 35. Skill bound to character. 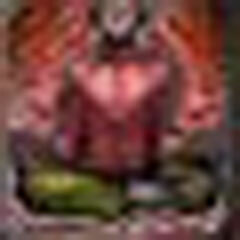 Strength Training Lv 4 26 2 Y Y - - - - - - Permanently increases base physical attack rating by 40. Skill bound to character. 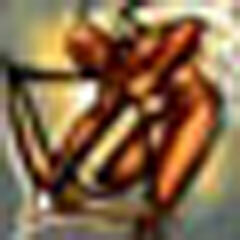 Strength Training Lv 5 34 2 Y Y - - - - - - Permanently increases base physical attack rating by 55. Skill bound to character. 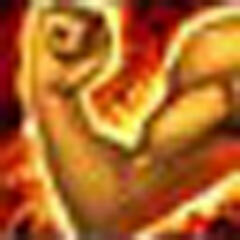 Strength Training Lv 6 42 2 Y Y - - - - - - Permanently increases base physical attack rating by 70. Skill bound to character. 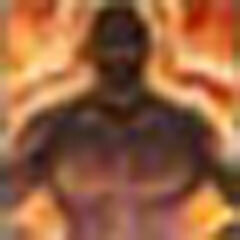 Strength Training Lv 7 50 2 Y Y -- - - - - Permanently increases base physical attack rating by 85. Skill bound to character. Strength Training Lv 8 58 2 Y Y - - - - - - Permanently increases base physical attack rating by 105 Skill bound to character. Strength Training Lv 9 66 2 Y Y - - - - - - Permanently increases base physical attack rating by 195 Skill bound to character. Bow Power Up Lv 1 5 1 Y Y - - - - - - Permanently increases Attack rating by 35 when using bows. 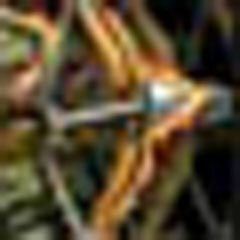 Bow Power Up Lv 2 15 1 Y Y - - - - - - Permanently increases Attack rating by 67 when using bows. Bow Power Up Lv 3 25 1 Y Y - - - - - - Permanently increases Attack rating by 78 when using bows. Bow Power Up Lv 4 35 1 Y Y - - - - - - Permanently increases Attack rating by 110 when using bows. Bow Power Up Lv 5 45 1 Y Y - - - - - - Permanently increases Attack rating by 150 when using bows. Bow Power Up Lv 6 55 1 Y Y - - - - - - Permanently increases Attack rating by 192 when using bows. 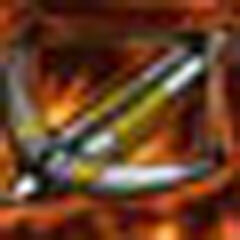 Bow Power Up Lv 7 65 1 Y Y - - - - - - Permanently increases Attack rating by 395 when using bows. Bow Power Up Lv 8 75 1 Y Y - - - - - - Permanently increases Attack rating by 700 when using bows. Projectile Power Up Lv 1 5 1 Y Y - - - - - - Permanently increases Attack rating by 35 when using projectiles. 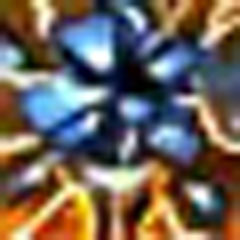 Projectile Power Up Lv 2 15 1 Y Y - - - - - - Permanently increases Attack rating by 67 when using projectiles. Projectile Power Up Lv 3 25 1 Y Y - - - - - - Permanently increases Attack rating by 78 when using projectiles. 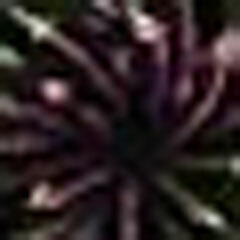 Projectile Power Up Lv 4 35 1 Y Y - - - - - - Permanently increases Attack rating by 110 when using projectiles. Projectile Power Up Lv 5 45 1 Y Y - - - - - - Permanently increases Attack rating by 150 when using projectiles. Projectile Power Up Lv 6 55 1 Y Y - - - - - - Permanently increases Attack rating by 192 when using projectiles. 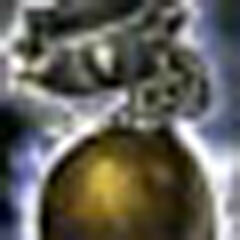 Projectile Power Up Lv 7 65 1 Y Y - - - - - - Permanently increases Attack rating by 395 when using projectiles. Projectile Power Up Lv 8 75 1 Y Y - - - - - - Permanently increases Attack rating by 700 when using projectiles. Flash Attack Lv 1 10 4 N Y - 300 - 33 118 - Increases Attack Speed by a level of 1 for 24 seconds. Flash Attack Lv 2 26 4 N Y - 270 - 64 200 - Increases Attack Speed by a level of 1 for 27 seconds. Flash Attack Lv 3 42 4 N Y - 240 - 112 287 - Increases Attack Speed by a level of 1 for 30 seconds. Flash Attack Lv 4 58 4 N Y - 210 - 190 433 - Increases Attack Speed by a level of 1 for 33 seconds. Flash Attack Lv 5 74 4 N Y - 180 - ? ? 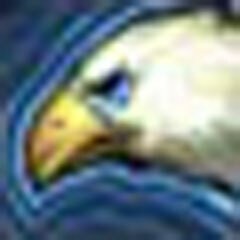 - Increases Attack Speed by a level of 1 for 36 seconds. 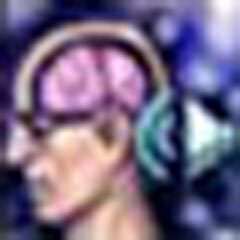 Transformation Skill 15 - Y Y - 300 - - - - Transformation ability for Archers and Hunters LUC is maximized for 20 seconds. The post was edited 2 times, last by Wendolyn ( Dec 8th 2018 ). Piercing Shot Lv 1 2 2 Y Y - 10 24 - 46 - Ignores target's defenses dealing 67 damage in addition to immobilizing the target for 2 seconds. Piercing Shot Lv 2 15 2 Y Y - 10 24 - 120 - Ignores target's defenses dealing 67 damage in addition to immobilizing the target for 2 seconds. Piercing Shot Lv 3 28 2 Y Y - 10 24 - 163 - Ignores target's defenses dealing 508 damage in addition to immobilizing the target for 2 seconds. Piercing Shot Lv 4 43 2 Y Y - 10 24 - 219 - Ignores target's defenses dealing 873 damage in addition to immobilizing the target for 2 seconds. Piercing Shot Lv 5 58 2 Y Y - 10 24 - 304 - Ignores target's defenses dealing 1341 damage in addition to immobilizing the target for 2 seconds. 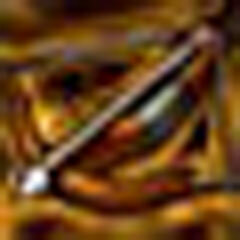 Piercing Shot Lv 6 63 2 Y Y - 10 24 - ? - Ignores target's defenses dealing 2510 damage in addition to immobilizing the target for 2 seconds. Piercing Shot Lv 7 78 2 Y Y - 10 24 - ? - Ignores target's defenses dealing 6343 damage in addition to immobilizing the target for 2 seconds. Jumpshot Lv 1 3 3 Y Y - 7 24 - 61 - A leaping shot from 18m away that ignores the target's defense dealing 84 damage. Must have bow equipped. Jumpshot Lv 2 14 3 Y Y - 7 24 - 131 - A leaping shot from 19m away that ignores the target's defense dealing 296 damage. Must have bow equipped. Jumpshot Lv 3 25 3 Y Y - 7 24 - 172 - A leaping shot from 20m away that ignores the target's defense dealing 483 damage. Must have bow equipped. Jumpshot Lv 4 36 3 Y Y - 7 24 - 227 - A leaping shot from 21m away that ignores the target's defense dealing 770 damage. Must have bow equipped. Jumpshot Lv 5 47 3 Y Y - 7 24 - 283 - A leaping shot from 22m away that ignores the target's defense dealing 1130 damage. Must have bow equipped. Jumpshot Lv 6 58 3 Y Y - 7 24 - ? - A leaping shot from 23m away that ignores the target's defense dealing 1629 damage. Must have bow equipped. Jumpshot Lv 7 69 3 Y Y - 7 24 - ? - A leaping shot from 24m away that ignores the target's defense dealing 3012 damage. Must have bow equipped. Slow Shot Lv 1 7 2 Y Y - 10 24 - 73 Slow Decreases movement speed for 2 seconds and gives 135 damage. Slow Shot Lv 2 18 2 Y Y - 10 24 - 119 Slow Decreases movement speed for 2 seconds and gives 329 damage. Slow Shot Lv 3 29 2 Y Y - 10 24 - 168 Slow Decreases movement speed for 2 seconds and gives 530 damage. Slow Shot Lv 4 40 2 Y Y - 10 24 - 215 Slow Decreases movement speed for 2 seconds and gives 846 damage. 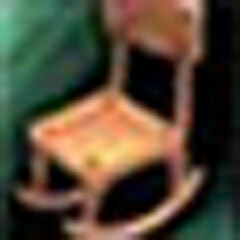 Slow Shot Lv 5 51 2 Y Y - 10 24 - - Slow Decreases movement speed for 2 seconds and gives 1212 damage. 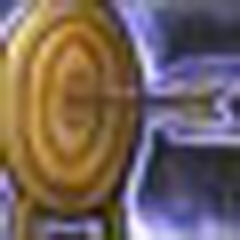 Slow Shot Lv 6 62 2 Y Y - 10 24 - - Slow Decreases movement speed for 2 seconds and gives 1837 damage. 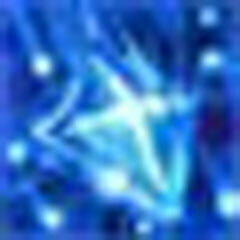 Slow Shot Lv 7 73 2 Y Y - 10 24 - - Slow Decreases movement speed for 2 seconds and gives 3733 damage. Tranquilizing Shot Lv 1 11 2 Y Y - 10 24 25 92 Dull Deals initial range damage, and reduces the target's STR by 57 and REC by 57 for 4 seconds. Tranquilizing Shot Lv 2 22 2 Y Y - 10 24 41 134 Dull Deals initial range damage, and reduces the target's STR by 70 and REC by 70 for 6 seconds. Tranquilizing Shot Lv 3 33 2 Y Y - 10 24 65 187 Dull Deals initial range damage, and reduces the target's STR by 83 and REC by 83 for 8 seconds. Tranquilizing Shot Lv 4 44 2 Y Y - 10 24 ? ? Dull Deals initial range damage, and reduces the target's STR by 102 and REC by 126 for 10 seconds. Tranquilizing Shot Lv 5 55 2 Y Y - 10 24 ? ? Dull Deals initial range damage, and reduces the target's STR by 188 and REC by 229 for 12 seconds. Tranquilizing Shot Lv 6 66 2 Y Y - 10 24 ? ? Dull Deals initial range damage, and reduces the target's STR by 360 and REC by 447 for 14 seconds. Deals initial range damage, and reduces the target's STR by 545 and REC by 648 for 16 seconds. Sustained Shot Lv 1 15 12 Y Y - 100 22 - 330 Dying Deals 2% damage regularly over a period of 12 seconds. 30 12 Y Y - 90 22 - 448 Dying Deals 3% damage regularly over a period of 16 seconds. Sustained Shot Lv 3 54 12 Y Y - 85 22 - 700 Dying Deals 4% damage regularly over a period of 20 seconds. Sustained Shot Lv 4 80 12 Y Y - 80 22 - ? Dying Deals 5% damage regularly over a period of 24 seconds. 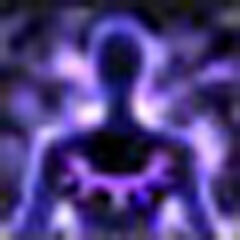 Pantera Vision Lv 1 15 12 Y Y 1.75 100 22 91 330 Death 80% chance of dealing 555 additional damage to the selected target. Some monsters are immune. 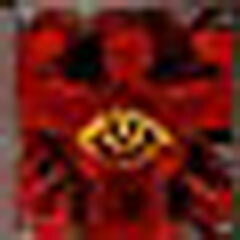 Pantera Vision Lv 2 30 12 Y Y 1.5 90 22 151 448 Death 85% chance of dealing 983 additional damage to the selected target. Some monsters are immune. 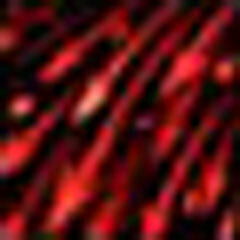 Pantera Vision Lv 3 54 12 Y Y 1.25 85 22 304 700 Death 90% chance of dealing 2212 additional damage to the selected target. Some monsters are immune. Pantera Vision Lv 4 80 12 Y Y 1 80 22 ? ? Death 95% chance of dealing 9868 additional damage to the selected target. Some monsters are immune. Apocalyptic Shot Lv 1 15 12 Y Y 2 100 22 91 330 - A devastating shot with a 70% chance of dealing damage equal to the attack power multiplied by 2 and stuns them for 1 seconds. Apocalyptic Shot Lv 2 30 12 Y Y 1.75 90 22 151 448 - A devastating shot with a 80% chance of dealing damage equal to the attack power multiplied by 2 and stuns them for 2 seconds. Apocalyptic Shot Lv 3 54 12 Y Y 1.5 85 22 304 700 - A devastating shot with a 85% chance of dealing damage equal to the attack power multiplied by 3 and stuns them for 3 seconds. Apocalyptic Shot Lv 4 80 12 Y Y 1.25 80 22 ? ? - A devastating shot with a 95% chance of dealing damage equal to the attack power multiplied by 3 and stuns them for 4 seconds. 53 163 Poison Deals 508 to the target. After the initial 30 damage, the poison continues to deal double the previous damage every 7 seconds. Deadly Poison Lv 2 35 3 Y Y - 10 24 70 195 Poison Deals 687 to the target. After the initial 41 damage, the poison continues to deal double the previous damage every 7 seconds. Deadly Poison Lv 3 42 3 Y Y - 10 24 88 224 Poison Deals 902 to the target. After the initial 54 damage, the poison continues to deal double the previous damage every 7 seconds. Deadly Poison Lv 4 49 3 Y Y - 10 24 110 259 Poison Deals 1126 to the target. After the initial 67 damage, the poison continues to deal double the previous damage every 7 seconds. Deadly Poison Lv 5 56 3 Y Y - 10 24 ? ? Poison Deals 1437 to the target. After the initial 67 damage, the poison continues to deal double the previous damage every 7 seconds. Deadly Poison Lv 6 63 3 Y Y - 10 24 ? ? Poison Deals 1946 to the target. After the initial 67 damage, the poison continues to deal double the previous damage every 7 seconds. Deadly Poison Lv 7 70 3 Y Y - 10 24 ? ? Poison Deals 3029 to the target. After the initial 67 damage, the poison continues to deal double the previous damage every 7 seconds. Deadly Poison Lv 8 77 3 Y Y - 10 24 ? ? Poison Deals 4919 to the target. After the initial 67 damage, the poison continues to deal double the previous damage every 7 seconds. Y - 8 24 - 221 - Deals 612 additional damage plus your Ranged Attack Power with perfect accuracy. 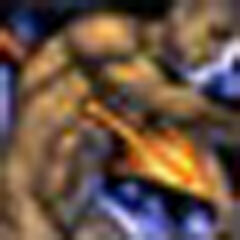 Bull's Eye Lv 2 43 4 Y Y - 8 24 - 292 - Deals 1050 additional damage plus your Ranged Attack Power with perfect accuracy. Bull's Eye Lv 3 57 4 Y Y - 8 24 - 419 - Deals 1672 additional damage plus your Ranged Attack Power with perfect accuracy. Bull's Eye Lv 4 71 4 Y Y - 8 24 - ? - Deals 3620 additional damage plus your Ranged Attack Power with perfect accuracy. Burn Shot Lv 1 30 4 Y Y - 8 24 78 231 - Enemies within 24m have their SP drained by 256 and MP by 256. Monsters are immune. Enemies within 24m have their SP drained by 606 and MP by 606. Monsters are immune. Burn Shot Lv 3 79 4 Y Y - 8 24 ? ? Enemies within 24m have their SP drained by 2512 and MP by 2512. Monsters are immune. 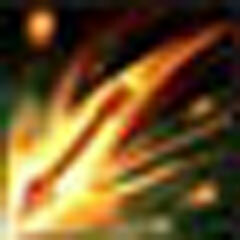 Flame Weapon Lv 1 30 2 Y Y - 180 - 59 176 - Imbues the caster's weapon with fire elemental properties for 60 seconds. 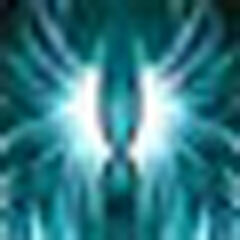 This effect will disappear upon activating another elemental buff or equipping a different weapon. 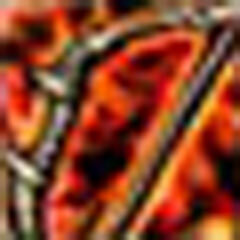 Flame Weapon Lv 2 50 2 Y Y - 180 - 114 265 - Imbues the caster's weapon with fire elemental properties for 90 seconds. 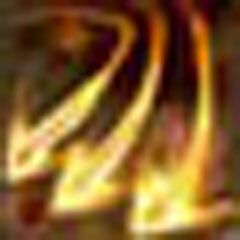 This effect will disappear upon activating another elemental buff or equipping a different weapon. Flame Weapon Lv 3 70 2 Y Y - 180 - ? ? 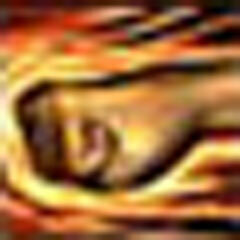 - Imbues the caster's weapon with fire elemental properties for 120 seconds. This effect will disappear upon activating another elemental buff or equipping a different weapon. Flame Weapon Lv 4 80 2 Y Y - 180 - ? ? - Imbues the caster's weapon with fire elemental properties for 180 seconds. This effect will disappear upon activating another elemental buff or equipping a different weapon. 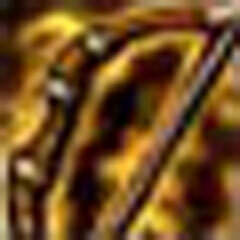 176 - Imbues the caster's weapon with wind elemental properties for 60 seconds. This effect will disappear upon activating another elemental buff or equipping a different weapon. 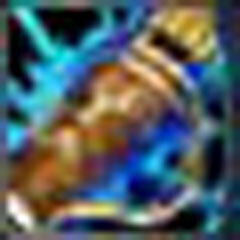 Tempest Weapon Lv 2 50 2 Y Y - 180 - 114 265 - Imbues the caster's weapon with wind elemental properties for 90 seconds. This effect will disappear upon activating another elemental buff or equipping a different weapon. Tempest Weapon Lv 3 70 2 Y Y - 180 - ? ? - Imbues the caster's weapon with wind elemental properties for 120 seconds. This effect will disappear upon activating another elemental buff or equipping a different weapon. Tempest Weapon Lv 4 80 2 Y Y - 180 - ? ? - Imbues the caster's weapon with wind elemental properties for 180 seconds. This effect will disappear upon activating another elemental buff or equipping a different weapon. 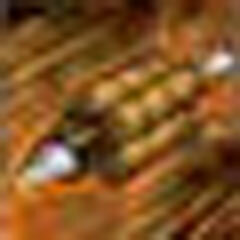 Hydraulic Weapon Lv 1 30 2 Y Y - 180 - 59 176 - Imbues the caster's weapon with water elemental properties for 60 seconds. This effect will disappear upon activating another elemental buff or equipping a different weapon. 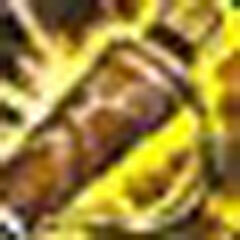 Hydraulic Weapon Lv 2 50 2 Y Y - 180 - 114 265 - Imbues the caster's weapon with water elemental properties for 90 seconds. This effect will disappear upon activating another elemental buff or equipping a different weapon. Hydraulic Weapon Lv 3 70 2 Y Y - 180 - ? ? 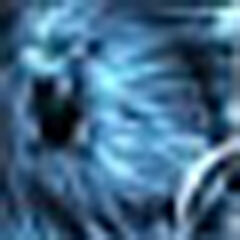 - Imbues the caster's weapon with water elemental properties for 120 seconds. This effect will disappear upon activating another elemental buff or equipping a different weapon. Hydraulic Weapon Lv 4 80 2 Y Y - 180 - ? ? - Imbues the caster's weapon with water elemental properties for 180 seconds. This effect will disappear upon activating another elemental buff or equipping a different weapon. 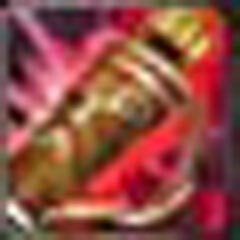 Earth Weapon Lv 1 30 2 Y Y - 180 - 59 176 - Imbues the caster's weapon with earth elemental properties for 60 seconds. This effect will disappear upon activating another elemental buff or equipping a different weapon. 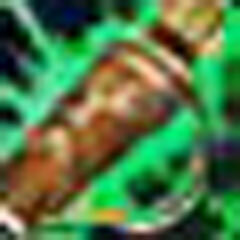 Earth Weapon Lv 2 50 2 Y Y - 180 - 114 265 - Imbues the caster's weapon with earth elemental properties for 90 seconds. This effect will disappear upon activating another elemental buff or equipping a different weapon. Earth Weapon Lv 3 70 2 Y Y - 180 - ? ? 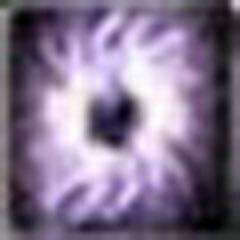 - Imbues the caster's weapon with earth elemental properties for 120 seconds. This effect will disappear upon activating another elemental buff or equipping a different weapon. Earth Weapon Lv 4 80 2 Y Y 180 - ? ? - Imbues the caster's weapon with earth elemental properties for 180 seconds. This effect will disappear upon activating another elemental buff or equipping a different weapon. The post was edited 1 time, last by Wendolyn ( Dec 7th 2018 ). Fan Shot Lv 1 14 3 Y Y - 15 24 146 - Unleashes multiple arrows ar once, dealing basic damage plus 226 additional damage to all enemies within a range of 3m. Fan Shot Lv 2 26 3 Y Y - 15 24 -- 200 - Unleashes multiple arrows ar once, dealing basic damage plus 385 additional damage to all enemies within a range of 3m. Fan Shot Lv 3 38 3 Y Y - 15 24 - 274 - Unleashes multiple arrows ar once, dealing basic damage plus 624 additional damage to all enemies within a range of 5m. Fan Shot Lv 4 50 3 Y Y - 15 24 - 354 - Unleashes multiple arrows ar once, dealing basic damage plus 908 additional damage to all enemies within a range of 6m. Fan Shot Lv 5 62 3 Y Y - 15 24 - ? - Unleashes multiple arrows ar once, dealing basic damage plus 1398 additional damage to all enemies within a range of 7m. Fan Shot Lv 6 74 3 Y Y - 15 24 - ? - Unleashes multiple arrows ar once, dealing basic damage plus 2980 additional damage to all enemies within a range of 8m. Bomber Shot Lv 1 30 4 Y Y - 16 24 - 251 - Adds a small bomb to the tip of an arrow,dealing additional 519 damage to enemies within an area of 3m. Bomber Shot Lv 2 47 4 Y Y - 16 24 - 351 - Adds a small bomb to the tip of an arrow,dealing additional 952 damage to enemies within an area of 4m. Bomber Shot Lv 3 64 4 Y Y - 16 24 - ? 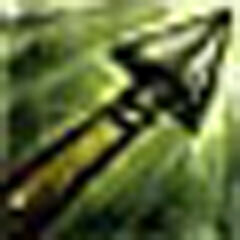 - Adds a small bomb to the tip of an arrow,dealing additional 1803 damage to enemies within an area of 5m. Bomber Shot Lv 4 80 4 Y Y - 16 24 - ? 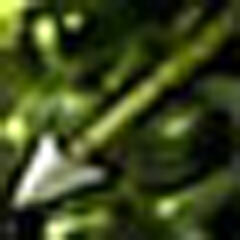 - Adds a small bomb to the tip of an arrow,dealing additional 95392 damage to enemies within an area of 6m.